This week, in Episode 280, I talk with Zack Kaplan, the creator/scripter of a gripping series called Eclipse from Top Cow/Image Comics. I met Zack at this year’s C2E2 convention, and I read Volume One of this fascinating mashup of sci-fi and murder mystery storyline. We discuss how he made this book happen, including teaming up with high-octane artist Giovanni Timpano. We discuss the second story arc, which I hadn’t yet picked up, so Zack gives some teasers for what we’ll see in those issues, including #7, which is due in local shops on Wednesday, May 17! I highly recommend this powerful book! For more about Zack, go to this link. Also, to keep up with Giovanni, be sure to check out his website here! The second part of our amazing conversation with Top Cow’s Matt Hawkin. We discuss twitter’s behavior towards Joss Whedon before diving into a great discussion on the future of the comics industry. A ton of great process information is given out! The Final Issue Podcast is a proud member of the Multiversity Comics Podcast Network. Check out multiversitycomics.com for great comic news, reviews and commentary. We celebrate our 100th Episode the only way that seems fitting by discussion the new DVD from Sequart Research & Literacy Organization – The Image Revolution. This documentary takes viewers from the creation of Image Comics through the first few years and gives a insightful look at this company through the eyes of those that were there – the Image Founders. You can order the DVD at the website – http://sequart.org/. We are joined by the amazing artist – Jeremy Haun! This episode DeWayne, Joe, and Chris cover a bunch of books (Revival #1, Dancer #5, Mind the Gap #5, Debris #3, Happy #1, and The Darkness #106) as well as diving into Top Cow’s talent hunt. 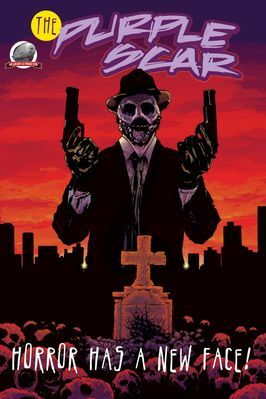 This episode Joe and Chris are joined by writer Christos Gage to talk about his upcoming OGN from Top Cow’s Minotaur Press – SUNSET due out in stores July 18.